The Roto Grip 2 Ball All-Star Editon Roller not only looks cool but it functions well too. 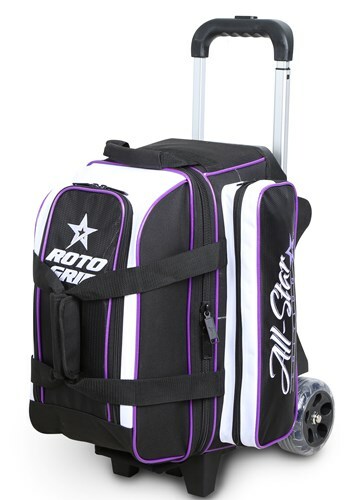 The bag holds up to 2 bowling balls, up to a pair of size 15 men's shoes, and all the accessories you need. This bag has all the features that you are looking for! Due to the time it takes to produce the Roto Grip 2 Ball All-Star Edition Roller Purple ball it will ship in immediately. We cannot ship this ball outside the United States.